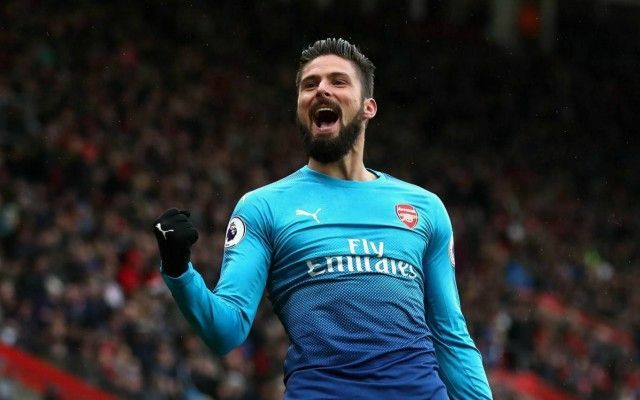 Arsenal snatched a late equaliser through Olivier Giroud as they came away with a 1-1 draw at Southampton in today’s early Premier League kick-off. Charlie Austin fired the Saints into an early lead with what looked like becoming the winner at the St Mary’s Stadium. However, Arsenal threw everything at the game as substitute Giroud came on to head in Alexis Sanchez’s cross in the 88th minute. Despite being cruelly robbed of the winning goal, Charlie Austin still deserves high praise for his performance today, and gets our Man of the Match award. The Saints front-man finished well to continue his fine recent form in front of goal, and gave a tireless display up front to cause Arsenal problems throughout the game. Austin will be frustrated not to have helped deliver the three points for Southampton, but in a World Cup year he’s really starting to show his value and will have England thinking about him soon enough if he carries on like this. Popular as he may be at Arsenal, it has to be the over-the-hill Per Mertesacker. The German centre-back was brought in in place of Shkodran Mustafi today, who missed out through injury, but he doesn’t look an inspired backup option right now. Mertesacker was at fault for Austin’s goal and was dragged off by Arsene Wenger on 64 minutes – perhaps the last we’ll be seeing of him on the pitch for a while. Koscielny is finished, bellerin not very good, xhaka is an apology and Wenger is the professor emeritus of failure. Disgusting performance. Labored, slow, lacklustre. Lacking in ambition!!! Wenger lacks the tactics to win games like this, we play the same way for too long, very easy for them to defend, we were predictable, we should be blowing this teams away with multiple approach to the goal, we will always mediocre with this man in charge. Dumb defending yet again, too much is dependent on Ozil to create everything.. Wenger needs to know when to change up his attack against certain team.. Giroud, Laca and Sanchez would have been better against teams like southampton. Who defends well.